"The genius of the missionaries was to first take on the responsibility of discerning and learning the spiritual lives of the native people to begin with and then to build on that, to present the Gospel as the fulfillment of what they already knew, rather than attack it, demean it, and try to abolish it." Hi. 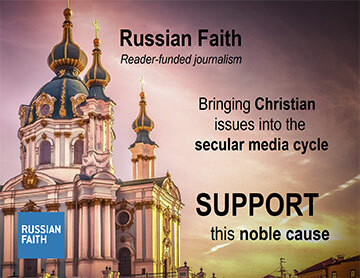 My name is Herman Middleton, and welcome to the Protecting Veil YouTube Channel, which is all about understanding our Orthodox Christian faith better so that we can live it more deeply. In order to do this, I started to produce videos for something I call "The Collective Wisdom Project." Today's video comes from and interview I conducted in early 2017 with Fr. Michael Oleksa when he came to the area to give some lectures. Fr. Michael is a talented storyteller. He has served as a village priest, as a university professor, and has written a number of books on Alaskan culture and history, in particular, the classic work, Orthodox Alaska. So I hope you'll enjoy this episode from my interview with Fr. Michael. Obviously, the native people had no consciousness of Jesus Christ and His presence on Earth that had occurred a couple thousand years earlier. And this is, of course, a contribution because the Lord saying, "Bless those who curse you, do good to those who wish you evil, love your enemies," that was a moral leap forward that no tribal peoples had ever discerned. In addition to that, of course, there's the whole experience of Great and Holy Week, especially the last thee days, the three-day Pascha, the betrayal, trial, execution, death, and burial and resurrection of Jesus Christ and what that means for everyone. The joy of Pascha was obviously something the missionaries could contribute. The genius of the missionaries was to first take on the responsibility of discerning and learning the spiritual lives of the native people to begin with and then to build on that, to present the Gospel as the fulfillment of what they already knew, rather than attack it, demean it, and try to abolish it. So many missions have taken upon themselves the attitude that anything that was there before they arrived was somehow evil, demonic, inspired by the devil. 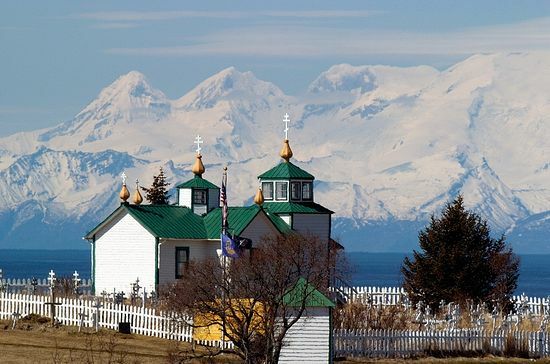 But fortunately, I would say, the Orthodox mission in Alaska took the opposite point of view. They said, "No. What these people know already, or what they believe, however they've discerned it, has produced some remarkably nice people, good people, kind and generous, and loving, and forgiving people. What they don't know, and what they don't have, is any communion with God. They have no sense of the Eucharist. They have no sense of the fulfillment that Christ brings to every spiritual aspiration of all religions." Christ is not just the fulfillment of the law and the prophets for the Jewish people. Christ is the fulfillment of the spiritual aspirations of all people. And so, the Gospel is presented as the rest of the story, as the part of the spiritual life of the human race that no tribe has discerned or figured out or predicted. The Jewish people didn't expect it to turn out the way it actually did! They were expecting a different kind of Messiah than what they got. So, it's not just true for the Jewish people who were actually expecting a Messiah; it's true for those who weren't, especially, in our case, the Alaskan natives. So to then tell the story of Jesus and how He came to Earth to unite us to the Father, and to bring us communion with the spiritual world, with the elements, with the angels, with the saints and martyrs, and, ultimately, with the Father Himself, that was news. That was good news, precisely. That's what the Gospel is! It's the rest of the story. So the Gospel was very well received because it was presented as the part of the story you could have never figured out and you could have never guessed. And it's joyful because it's the destruction of death itself. No tribal culture predicted or expected that death itself would be abolished. And yet, that's exactly what the crucifixion and death of Christ brings. The people hearing, I think especially the Holy Saturday Liturgy, must have been deeply moved. "Today Hell cries out groaning, I should not have accepted this man born of Mary. He came and destroyed my power." That's good news to everybody, not just for the Jews who were expecting the Messiah. It was good news for everyone in the whole world. And then, the Holy Saturday entrance hymn: "Let all mortal flesh keep silent, and in fear and trembling stand, pondering nothing earthly minded, for the King of Kings and the Lord of Lords comes to be slain to give Himself as food to the faithful." You see how that resonated with a hunting and gathering culture who believed already that the animals were sacrificing themselves to feed the humans. And now, the Church is saying, "And that's what God has done. He comes to Earth in the flesh so that he can be killed, and then, to give himself eucharistically as physical, bodily, but also spiritual food to those who believe." More good news! So, the joy of Pascha, the revelation that God has come to Earth to destroy death by His death, and that "not one dead" — as St. John Chrysostom tells us on Pascha at the Midnight service — "and not one dead remains in the tomb," i.e. that your ancestors will all be raised. Of course, this is something else that might be somewhat controversial, but that's exactly what we Orthodox believe. Christ doesn't die just for the believers and just for the Christians. He dies for everybody. And all the dead of all the ages are raised. And on Judgment Day, they will all be judged according to what God has given and revealed to them during their lifetime and how well they've lived up to it. So those righteous, even if they weren't baptized and never heard about Jesus Christ, those righteous from past ages, in a sense, still have hope of the resurrection of the dead and the life of the world to come. They're not condemned because baptismal water never touched their brows, that they were never immersed in the waters. From now on we expect that because we hope people will grow in sanctity, grow in righteousness, grow toward Christ-likeness. But for those generations that were born before the Gospel arrived, God will be merciful. And all the dead, including those ancestors of ours who never heard the Gospel preached, will somehow be included. They won't be judged and they won't be condemned because it wasn't their fault, you could say. And God will take that into account on Judgment Day. So it's good news all the way around. So often Christian missions, again, have come in with the attitude that whatever you believed before we arrived was somehow tainted or even inspired by the evil one. Fortunately, our missionaries did not take that approach. "Whatever you've had that was good and pleasing, whatever was true and lovely and beautiful, hold onto these things." That's St. Paul's admonition, and our missionaries were wise enough to take that approach. And that means that the people became Orthodox Christians in Alaska as the fulfillment of what they already knew. And I would say that that's advice to new converts. No matter what your spiritual background was, no matter where you came from, that was good. It brought you to Orthodoxy. It couldn't have been all bad. If you were a former Protestant, or Catholic, or Buddhist, or Muslim, or whatever, or agnostic, you had no spiritual background whatsoever, ultimately, the Spirit of God brought you to the truth in the end. You should never look back and denigrate any of that. It brought you to Christ. It brought you to the Church. It made you who you are. And we have to give thanks to God for that. Some things that no wisdom had ever discerned: To not lie, to not steal, to not kill; they'd figured that out. Love your enemies was not something anybody ever figured out. It's a complete contradiction. An enemy by definition is somebody who hates you, and probably you hate them back. That's why they're an enemy. When the Gospel came to the native people of Alaska, St. Jacob Netsvetov being the best, I would say, purveyor of this, he preached the Gospel of loving your enemies to tribes that had been fighting each other for thousands of years. And the Gospel brought peace to them. So I would say that's one contribution that the Gospel brought to people who were, in many ways, I would say, spiritually superior to the missionaries themselves. Because, while they were kind, gentle, hospitable, and the rest to their own people, they weren't necessarily, they didn't necessarily treat their neighbors of neighboring tribes in the same generous and forgiving way. The name of each tribe, I think it means human being. Unangan, or Aleut people call themselves Unangan. It means the human beings. Dena, Dena'ina means the human beings, the Indian name for the Indian people of Alaska. Yup'ik and Inupiat means the real people, the genuine human beings. You have to grow into being one. It's not automatic. Your DNA helps you in that direction, but then, to embody these values, to become a real person - that takes a lifetime. But then, the real people didn't necessarily treat the people of neighboring tribes as humans at all because if I'm a human and you're different from me, then you're not quite human. And so the tribes often engaged in enslavement, in abductions, in holding each other hostage and even killing each other. So the contribution that the mission brought was peace between the tribes. If we're all descended from the same father and mother, it's not just the people of the real people, the Yup'iks, or the Dena'ina, the humans, or the Tlingits, the humans, it's everybody; it's even those people upriver who we've been calling nasty names for thousands of years. The Church brought peace to that environment. And that was, I would say, the one critical contribution the Gospel brought to the tribal peoples. Forgiveness, kindness, patience, hospitality, love - they were really good at that among themselves; but the Gospel helped them to extend those virtues to all people everywhere.